Mr. Arrondo joined Emerald City as a Founding Partner and Director in 2011 and is responsible for directing, establishing and managing the design, construction and operation of the energy system in the Project in order to minimize its energy usage by utilizing state-of-the art technologies. Mr. Arrondo holds an Electrical Engineering degree from the University of Miami and has been active in the power industry throughout his career. 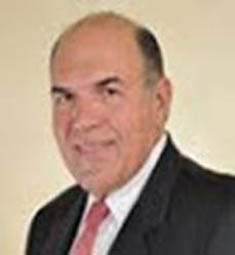 He joined R. B Grove, Inc., a major distributor of power generation equipment in 1975 and held a series of management jobs until he became President in 1997. He developed in 1992 the 110 Megawatt Puerto Quetzal Power Co. in Guatemala which became the first private generating project in Latin America to be financed by the IFC of the World Bank without government guarantees.